On Friday, June 8th, Juilliard trained Decca recording artist and internationally recognized violinist David Garrett will visit PS 58 in Brooklyn, NY, the original VH1 Save The Music Foundation grant recipient school. Lucky students will have the opportunity to play for Garrett and Foundation Executives before hearing a history of the Foundation’s origins at their school. Soon after, David Garrett will share his own musical background while instructing a master class to the students and playing a few of his songs for the group. During this unique experience, engaged students will have the opportunity to learn alongside Garrett. Winning over audiences since the release of his self-titled debut album in June 2009, David Garrettcomes full circle with his new classical recording, Legacy, to be released June 5th on Decca (along with stand-alone concert DVD Legacy Live). 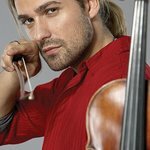 Both represent David’s successful dual career, bridging his crossover repertoire with his classical career that began at age 9 when he played his first symphony concerts, to later signing a deal with the prestigious Deutsche Grammophon label at 14. Today, Garrett sells out concert halls around the world, and has had his own two successful U.S. PBS concert specials. His additional TV appearances have been on some of the biggest shows in America including “Dancing with the Stars” The Today Show, Good Morning America, and Late Night with Jimmy Fallon and among others. His road to the U.S. began when he fled Germany for New York City as a teen, and spontaneously auditioned and was accepted to the world famous Juilliard music school, studying under the legendary violinist Itzhak Perlman. Perlman said of Garrett, “He is a wonderful violinist with excellent technique and natural musicianship. He will always perform with artistry.” As a young student, Garrett also earned extra cash by moonlighting as a busboy and model, landing him in the pages of Vogue and the Fashion Week catwalks for Armani. 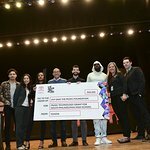 The VH1 Save The Music Foundation is a nonprofit organization dedicated to restoring instrumental music education programs and raising awareness about the importance of music as part of each child’s complete education. To date, the Foundation has raised $48 million for 1,800 public schools in over 100 cities, impacting the lives of more than 1.8 million students.